Carried on a cool Pacific fog swirling to rest at the base of Mount Diablo, an idea nestled among the grass and oak trees. 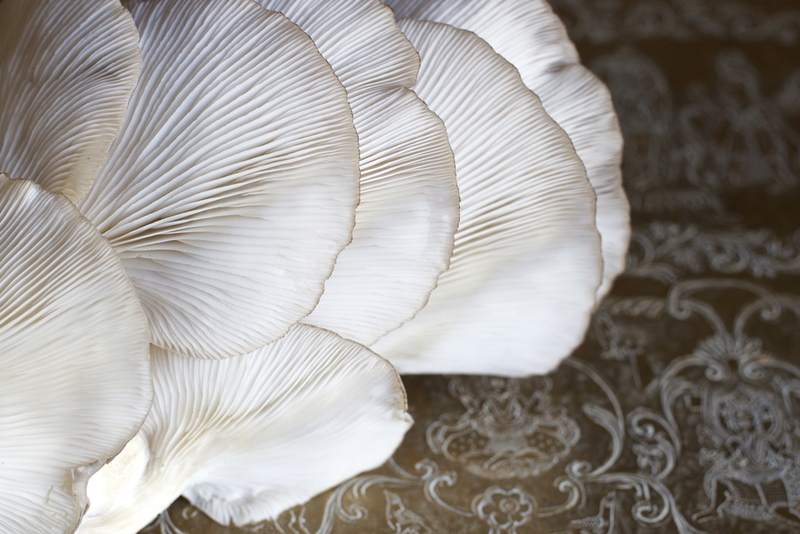 This was the promise of Top Cap Mushrooms, a small farm offering unique gourmet varieties expertly grown to hand-tended perfection. 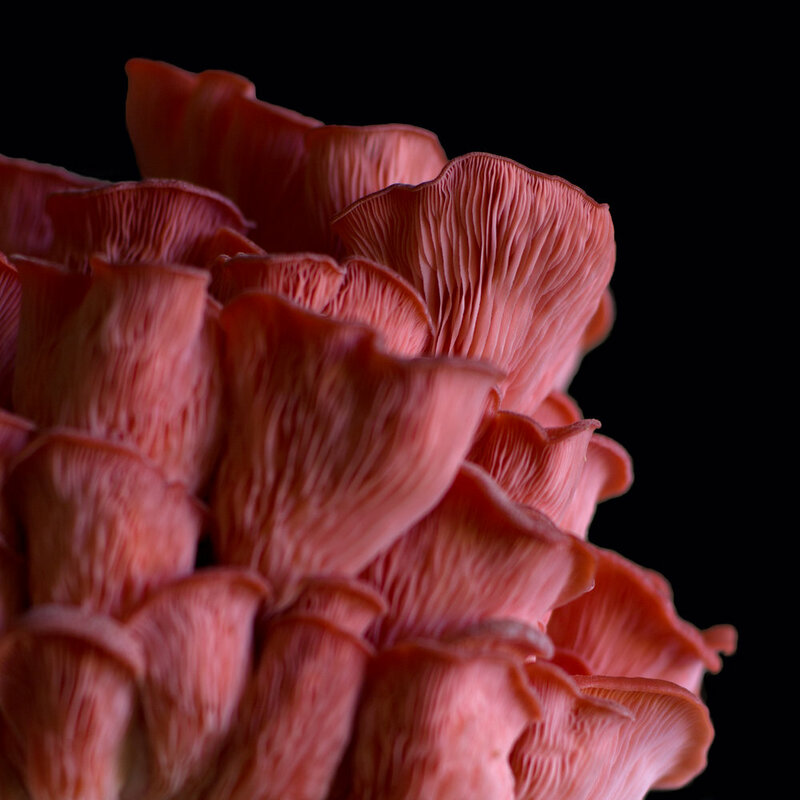 Since 2015, our micro-eco farm has used innovative techniques to grow mushrooms of unrivaled beauty and taste. We seek to share the extraordinary flavors and health benefits of the world’s most cherished mushroom varieties, and our environmentally conscious methods ensure that they're brought to you in the most mindful way - we source organic grain, use the best techniques to conserve water, and offset operations with solar power. 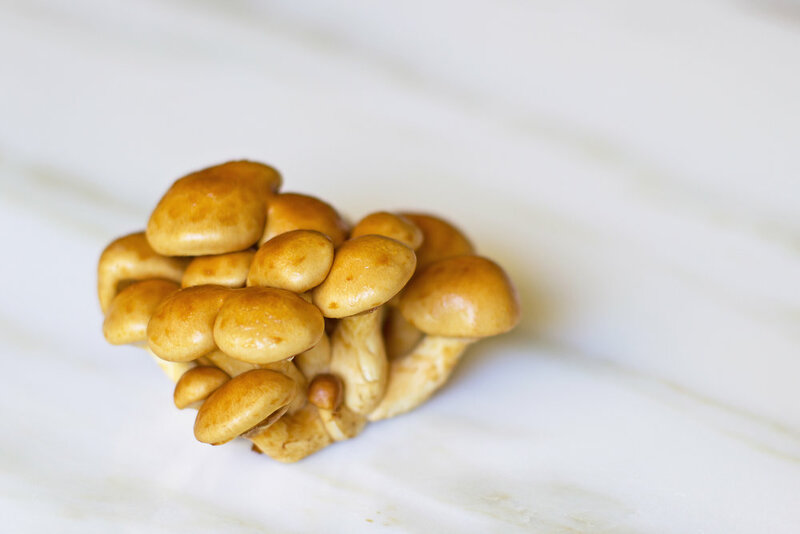 Pale pumpkin-orange in color, springing from connected clusters, glowing with the sheen of a natural crystal glaze, the Nameko is truly a marvel to behold. And the flavor - sweet, simple, reminiscent of roasted chicken - is a real treat. The glaze preserves moisture in the mushroom as it matures but quickly disappears when cooked, leaving only the pleasant flavor and a readily yielding, tender texture. 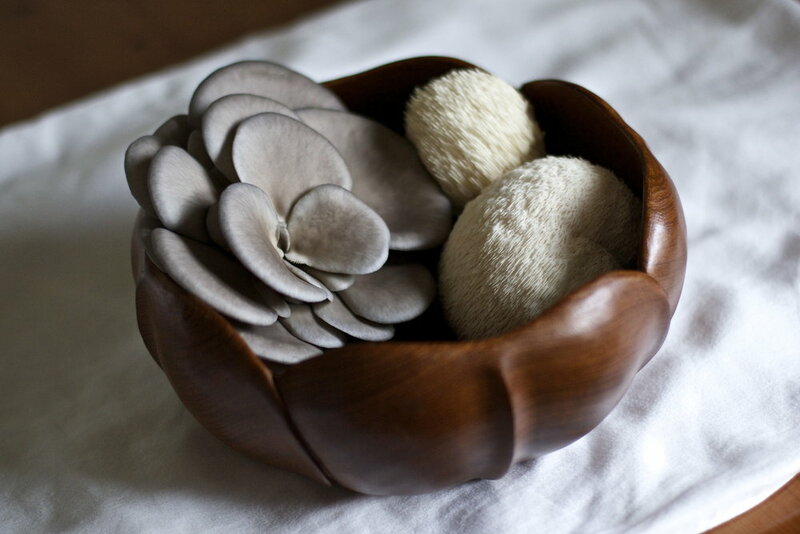 With its enticingly unusual presentation, Lion's Mane is a mushroom for the kid in all of us. It’s best prepared sliced into medallions and pan-seared in butter or olive oil. Its flavor reminds some of lobster or crab, making it a perfect vegan substitute for crab cakes and seafood pastas. One of this mushroom's best features is its ability to lend moisture to a dish – with a texture similar to eggplant, it soaks up sauces wonderfully for a succulent, meaty addition to rice or grain dishes. This gorgeous Italian heirloom variety tastes as beautiful as it looks. With its earthy, almost venison-like flavor, Pioppino is a great choice for hearty pastas and stews. Its warmth and complexity can make a simple mushroom lasagna something truly special. 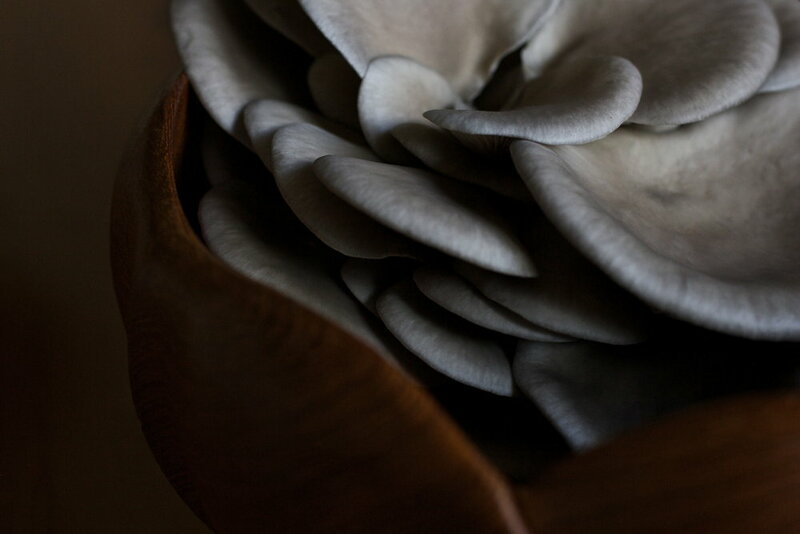 This classic European winter oyster’s elegant caps begin as a deep gray-blue and lighten to the color of a crisp winter sky as they mature. This variety is a perfect match for dishes that require a full-flavored, meaty mushroom with a rich poultry flavor. This mushroom is best when the lower stems are removed or sliced finely along their length. A native Bay Area variety, tamed in our lab and cultivated for your enjoyment. This Oyster mushroom could as easily be called “The Giant,” as it readily grows to lily pad size. It offers a subtle flavor and tender texture. It's a great “crossover” mushroom, as at home in a classic savory pie as it is in a stir fry. Only available through Top Cap Mushrooms – our flagship Oyster! The King Oyster is a gourmet classic perfect in a vegetable roast or stir fry, where its distinct nutty flavor and uniformly firm texture add crisp contrast. It's best cut lengthwise, either quartered or in slender slices. The Pink Oyster's striking Flamingo-pink color cooks to a beautiful, mellow peach. Its flavor, reminiscent of baked salmon, lends depth to simple roasts and rice dishes. Its nutritional offerings are pretty special, too - it delivers hearty doses of Iron and B Vitamins, and a whopping 4600 mg of Potassium per 100 grams. Gourmet mushrooms offer incredible nutritional value and long-term health benefits. We've collected some helpful resources here. This chart, originally published in Paul Stamets' Mycelium Running, gives an overview of the nutritional properties of some powerhouse varieties, including Lion's Mane, Nameko, and Blue Oyster. For a comprehensive guide to the medicinal properties of mushrooms, check out Paul Stamets' MycoMedicinals. 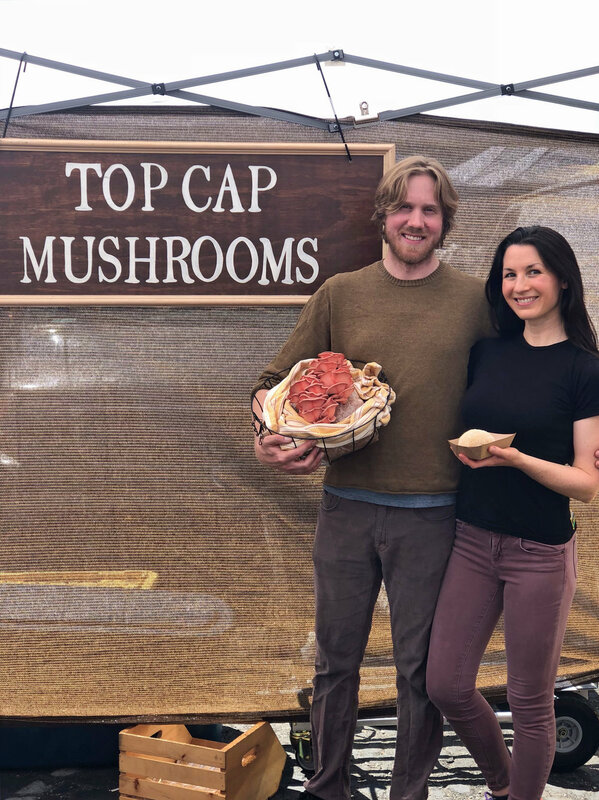 Top Cap Mushrooms is at Diablo Valley Farmers' Market every Saturday from 9-1, year-round, and Moraga Farmers' Market every Sunday from 9-1, year-round. 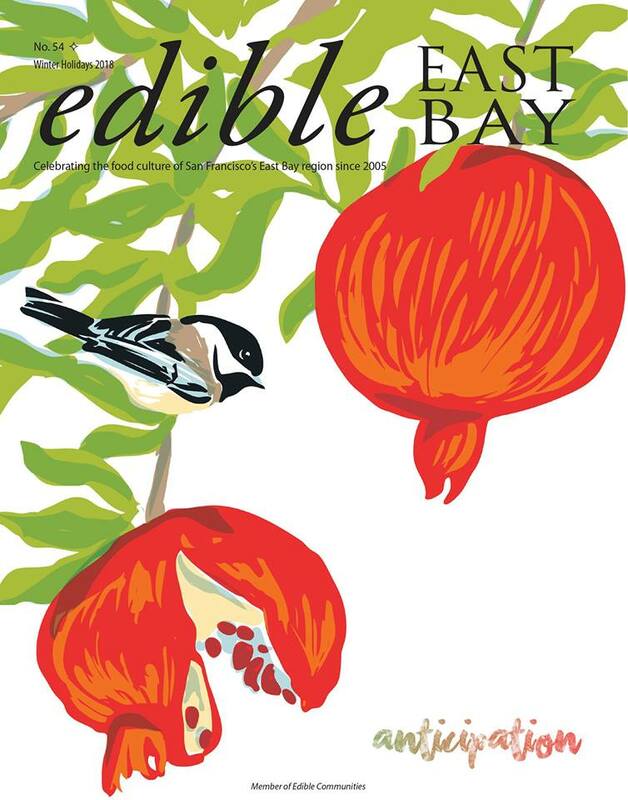 We were honored to be featured in the Winter 2018 edition of Edible East Bay. Check out the article by photographer and recipe developer Rezel Kealoha for our story, gorgeous photos of our varieties, and warming, mushroom-centered recipes.